We need to bring back Hawaiian parties. …to go with the palm trees! 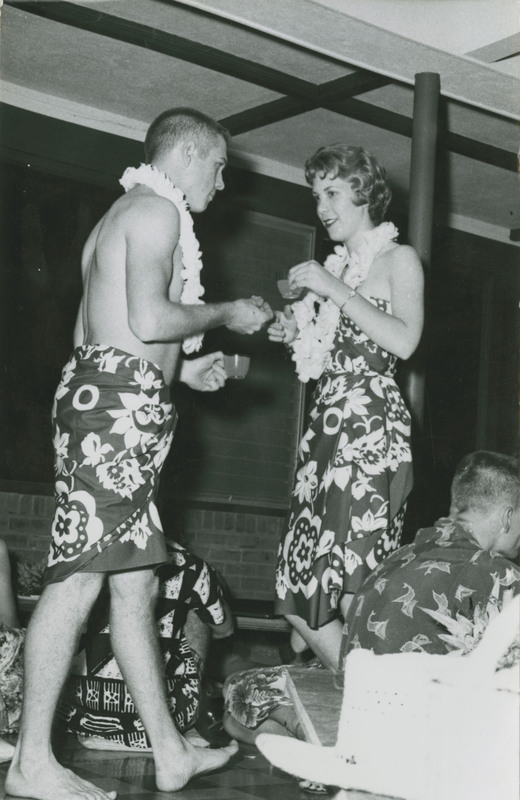 Our Rice Follies of 1956 had a full female chorus line of beauties doing a Hawaiin war dance. One beauty finished the dance, savagely and sarongless. But with a full date book for the rest of the year!